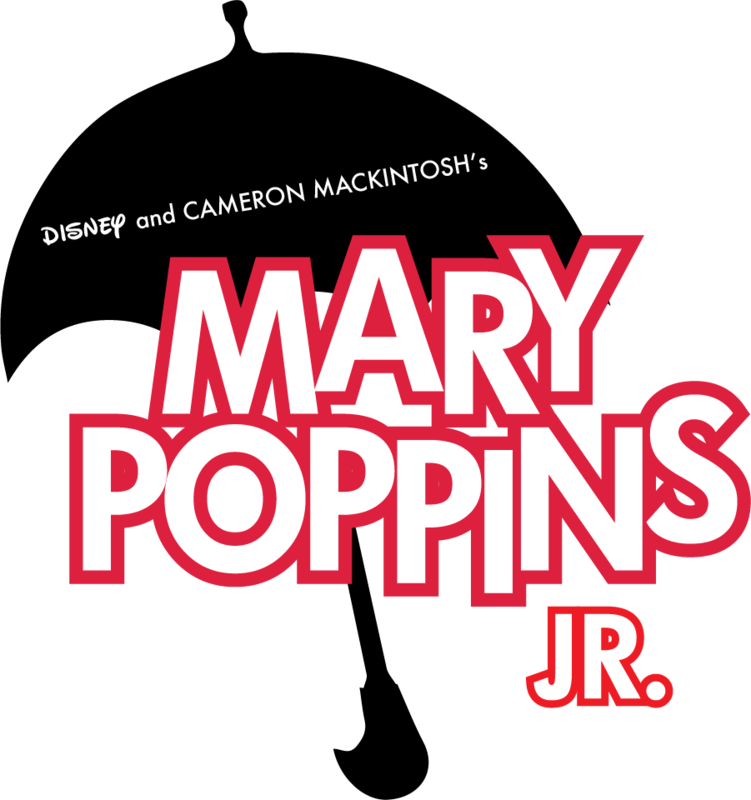 Friday, January 18, 2019 at 7:00 p.m.
Saturday, January 19 at 1:00 p.m. & 7:00 p.m.
Everyone's favorite nanny is coming to Quaker Valley with the Middle School’s production of Mary Poppins Jr. on January 18th and 19th, 2019. Showtimes are Friday at 7:00 p.m. and Saturday at 1:00 p.m. and 7:00 p.m. Tickets purchased in advance are $5 for children and senior citizens, and $10 for adults. Tickets purchased at the door, if available, will be $7 for children and senior citizens, and $12 for adults. 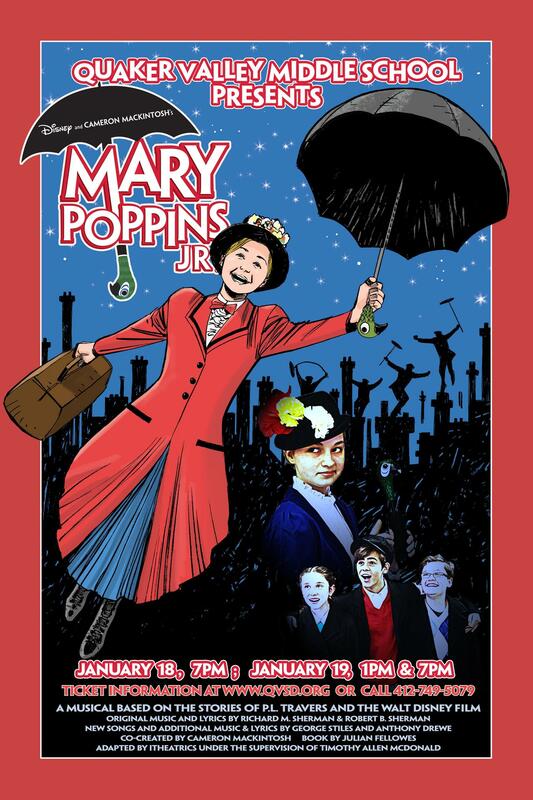 Print out the ticket order form below and bring it to Quaker Valley Middle School during normal school hours to save your seat for a supercalifragilisticexpialidocious time! For more information, please contact the MS Musical Director, Mr. Tom Forrest, at forrestt@qvsd.org.